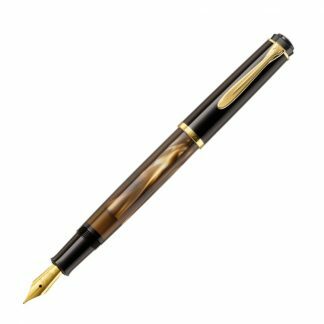 The Pelikan Classic P205 Black is a special fountain pen featuring a unique barrel design and black color that complements the Edelstein line of Fountain Pen inks. This pen works with a cartridge/converter. The Pelikan Classic P205 Black is a special fountain pen featuring a unique barrel design and black color that complements the Edelstein line of Fountain Pen inks. 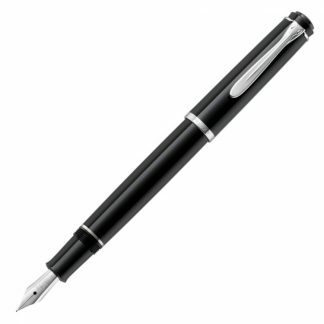 The nib is made out stainless steel and along with the accessories it has a silver finish. 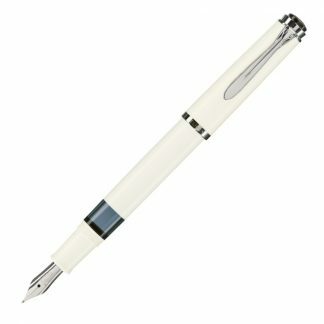 Unlike it’s twin the M200, this fountain pen does not use a piston filling mechanism instead it uses a standard international cartridge converter. These pens are excellent every day carry pens as well magnificent as luxurious gifts and writing instruments for those special occasions.